Written by Freddie Mercury, "We Are the Champions" was built on audience response, with Brian May stating, "We wanted to get the crowds waving and singing. It's very unifying and positive." Musically, it is based on Mercury's piano part, with Roger Taylor and John Deacon providing a drums and bass guitar backing. May overdubbed some guitar sections, initially subtle, but building to a "solo" played simultaneously with the last chorus. Mercury employed many jazz chords (major and minor 6th, 7th, 9th, 11th and 13th harmonies), and the choruses featured these voiced as 4 and 5-part vocal harmonies. The lead vocal is very demanding and strident (highest point is a C5 both belted and in falsetto), with one of Mercury's most notable performances taking place at the Live Aid concert, at Wembley Stadium, London in 1985. The video for the song was filmed at a special video shoot with fan club members at the New London Theatre Centre on 6 October 1977 and was directed by Derek Burbridge. An alternate version which starts in monochrome before blasting into colour as the drums and guitars kick in was broadcast on Top of the Pops 2 and comprises alternate footage shot on the same day. In 2011, a team of scientific researchers concluded that the song was the catchiest song in the history of pop music, despite its not hitting #1 in the charts in any major market. Dr. Daniel Mullensiefen said of the study, "Every musical hit is reliant on maths, science, engineering and technology; from the physics and frequencies of sound that determine pitch and harmony, to the hi-tech digital processors and synthesisers which can add effects to make a song more catchier. We’ve discovered that there’s a science behind the sing-along and a special combination of neuroscience, math and cognitive psychology that can produce the elusive elixir of the perfect sing-along song." In 1977–1978, "We Are the Champions" was released as a single in many countries, reaching number 2 on the UK Singles Chart. number 4 on Billboard in the US., the top 10 in Ireland, Netherlands, and Norway, and top 15 in Germany, Austria and Sweden. In 1992, 1993 and 1998, the single was re-released in France, totalling 45 weeks on the chart and peaking respectively at #19, #14, and #10 during the 1998 FIFA World Cup. "We Are the Champions (Ding a Dang Dong)"
"We Are the Champions (Ding a Dang Dong)" is a song from 2006 by Crazy Frog inspired by Queen's hit from 1977, "We Are the Champions". It was released as a single on 5 June 2006. A cover of the 1977 song from Queen of the same name, it was released to coincide with the 2006 World Cup. Vocal arrangements include a sample portion of Queen's original rendering. The music video depicts Crazy Frog in bed dreaming that he is competing in a soccer match against Killbots. Though outnumbered, he easily defeats and humiliates them. One goal rebounds off the net knocking him out and causing him to briefly wake up. Having defeated his enemies he finds himself hovering in a soccer universe. He happens to glance at hundreds of clones marching toward him. He panics and runs in fear. He reaches a tall stairway leading up to a giant gold trophy. Crazy Frog becomes exhausted near the top unlike his indefatigable pursuants. The trophy turns into a giant soccer ball that begins to roll rapidly down toward Crazy Frog. Crazy Frog is crushed and falls with the ball all the way back to the ground, startling him enough to wake up. When the music video was originally released online, it appeared as it was released. However, the current version lacks the soccer ball being kicked and the accompanying sound effects. After being internationally released, it was shown before the animated movie Cars. The single had its greatest success in France. It went straight to #1 on 10 June 2006, and stayed at this position for five weeks. It remained for nine weeks in the Top 10, seventeen weeks in the top fifty, and twenty five weeks in the chart. On 30 August 2006, it was certified Gold disc two months after its release by SNEP, the French certifier, and became the fifteenth best selling single in 2006 in that country. 2001: Robbie Williams on vocals with Queen (May/Taylor) for the soundtrack of the 2001 film A Knight's Tale. It was used in season 1 of The Big Bang Theory. The song was used in Fox animated series The Simpsons in the episode "She Used to Be My Girl". Liza Minnelli and other guest artists sang this song to close The Freddie Mercury Tribute Concert in 1992. Green Day at Reading Festival 2004, and at Live 8 in 2005. Adam Lambert and Kris Allen, in the season 8 finale of American Idol, on 20 May 2009. In 2011, Christina Aguilera, Cee Lo Green, Adam Levine & Blake Shelton covered the song at The Voice. In 2012, Katy Perry covered the song at Summertime Ball 2012 edition in front of 80,000 at the new Wembley Stadium, in London. During their 2014 tour, Monumentour, Fall Out Boy covered a short version of the song on stage before going into their title track 'Save Rock and Roll' off of the 2013 album. ^ Queen want Donald Trump to stop using their music. But the law might be on Trump's side. ^ a b Steffen Hung. "Forum - 1970 (ARIA Charts: Special Occasion Charts)". Australian-charts.com. Retrieved 2016-10-13. ^ "Item Display - RPM - Library and Archives Canada". Collectionscanada.gc.ca. Retrieved 2016-10-13. ^ "NZ Top 40 Singles Chart | The Official New Zealand Music Chart". Nztop40.co.nz. 1978-02-05. Retrieved 2016-10-13. ^ "Listy bestsellerów, wyróżnienia :: Związek Producentów Audio-Video". Polish Airplay Top 100. Retrieved 4 July 2016. 1978 Release: "InfoDisc : Les Certifications (Albums) du SNEP (Bilan par Artiste)". Institut français d'opinion publique (in French). France: InfoDisc.fr. 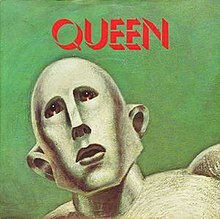 Search for "Queen" and press "OK" to see the 1978 certification and sales figures. Retrieved December 27, 2015. 1998 Release: "SNEP - Syndicat National de l'édition Phonographique". Syndicat National de l'édition Phonographique (in French). France: Snepmusique.com. The certification was awarded for single sales more than 250,000 copies. Retrieved December 27, 2015. ^ Kaufman, Gil (20 May 2009). "Kris Allen, Adam Lambert Tear Up Queen's 'We Are The Champions' – News Story | Music, Celebrity, Artist News | MTV News". MTV. Retrieved 16 March 2012.